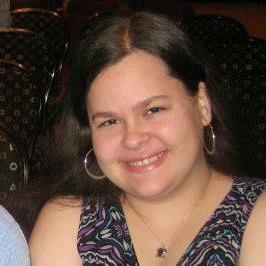 This is me in May of 2013, at my younger brother’s college graduation. Photo credit goes to Cathy Tracy. It would behoove me to introduce myself and all that I’ve been through. I love it when other people do that because it makes me feel more connected to them but, “if you want to know the truth”, I’m so tired of telling people over and over again about my struggles. I think this is because the people I tell are doctors and nurses and bosses and co-workers and people who don’t know what it’s like or don’t really care. They’re people who want me in and out of their offices so they can treat more interesting patients. They’re people who want me to find a substitute because I can’t make it into work today on account of all the vomiting. They’re people who just want to know if they should buy me a damn concert ticket or am I going to cancel at the last minute “like I always do”? So why am I starting a blog if I don’t want to tell my story? Because I have to. We all do, if we ever have any hope of migraines being recognized as a disease and not just a headache. We have to bombard everyone with all the nitty gritty details so that they understand what it’s like to be us so that maybe, by the time our children or grandchildren enter the world, migraines will be a thing of the past. Or at least well-controlled. So this is the story of how migraines became so personal to me that they became mygraines. I was nineteen years old, enjoying the last few days of August before I’d move into the dorms and begin my sophomore year of college. I had a job teaching preschool which I adored, an impeccable attendance record, friends and family, and was settling into the idea of getting my degree in Psychology. Except for the occasional stomach bug or case of Strep throat (which are hard to avoid when you spend 8 hours a day with kids under the age of 5), I was pretty healthy. I had gotten a physical recently, complete with the meningitis vaccine required by my college if I wanted to live in the dormitories. Life was pretty good. Then, out of absolutely nowhere, my life took such a sudden and unexpected plot twist that I would’ve been asked to rewrite it had I had control over the story. I woke with a searing pain in my head that was both dull and sharp, pounding and stinging, full of pressure and fog. I staggered to the bathroom where I promptly threw up everything I could remember eating. But even in the haze, I had an inkling that something about what was happening was different. I had had headaches before but this…well, this was no headache. As I hunched over to vomit again, I got the sensation that my body was attempting to rid itself of the shooting pain by voiding the contents of my stomach. Even curiouser was the fact that this pain, the most outstanding pain I’d ever experienced in my life, was only on the left side of my head. The right side of my head felt fine, as though I’d somehow been split in two during the night and someone had decided to murder the left side of me and then re-attach it to the living side of my body. Fairly convinced I had a brain tumor, I fumbled down the stairs, dizzy and terrified and tried to explain to my parents what was going on. It was decided that my dad would stay home and wait for my brother and my mother would take me to the Emergency Room. I have very little memory of the car ride or the time I spent in the waiting room. I recall that, after I was triaged, I was put in a dark private room where I would be put through a CAT scan to rule out any “serious” problems. I was given the first of hundreds of basic neurologic tests, one that I could administer at this point. Blood and urine were collected and whisked away. There was a look of relief on my mother’s face when we were told that all my tests were normal and only then did I realize how scared she had been. The doctor (a doctor I came to know well and to adore and respect) patted me on the leg and said “Sounds like you have a bad migraine headache. We’ll get you some meds and get you feeling better.” He gave me a smile and headed out of the room. The word migraine didn’t mean much to me at that point. I knew that my biological aunt and uncle suffered from them occasionally and I remembered that they involved head pain and vomiting and that we had to be very quiet around my relatives while they were experiencing them. I was just so relieved to not be having a brain aneurysm that I didn’t much care at that point. This was all a fluke, they’d give me some medicine, and I’d be fine. After pumping me full of Zofran (to get rid of the nausea), Toradol (a powerful non-steroidal anti-inflammatory), and Morphine (a narcotic pain reliever), I was not only no longer in pain, I was no longer anxious or scared. On the way home, I waxed poetic about how pretty the green traffic lights were as my mom laughed quietly and told me to rest. It was all over. But it wasn’t over. It was the beginning of ten years of doctors, ER visits, drugs, being let go from jobs for attendance issues, lost friendships, missed leisure activities, crying, and unimaginable pain, anxiety, frustration, anger, loneliness, and desperation. It was the beginning of x-rays and CAT scans and MRIs and EEGs. It was the beginning of sinus surgery and impacted wisdom teeth removal. It was the beginning of track marks and scars from too many IVs. It was the beginning of injections in my shoulder and my neck and my face. It was the beginning of ludicrously being forced to prove that I wasn’t a drug addict every single solitary day. It was the beginning of carrying a pharmacy around in my purse. It was the beginning of no more chocolate or pepperoni or aged cheeses or MSG or red wine or nitrates. It was, in a sense, the beginning of the end. But Winston Churchill once said “If you’re going through hell, keep going.” And I did. You know you are not alone even though many times we are floating in a little tiny boat alone by ourselves . I simply surrounding ourselves with other sufferers and educating other people we are all making a change and making a step forward . Like they say in AA sister one day at a time that’s all we can hope for for now. And so it begins… I love the twist on Mygraines! We never have properly introduced ourselves… we need to do that someday! !